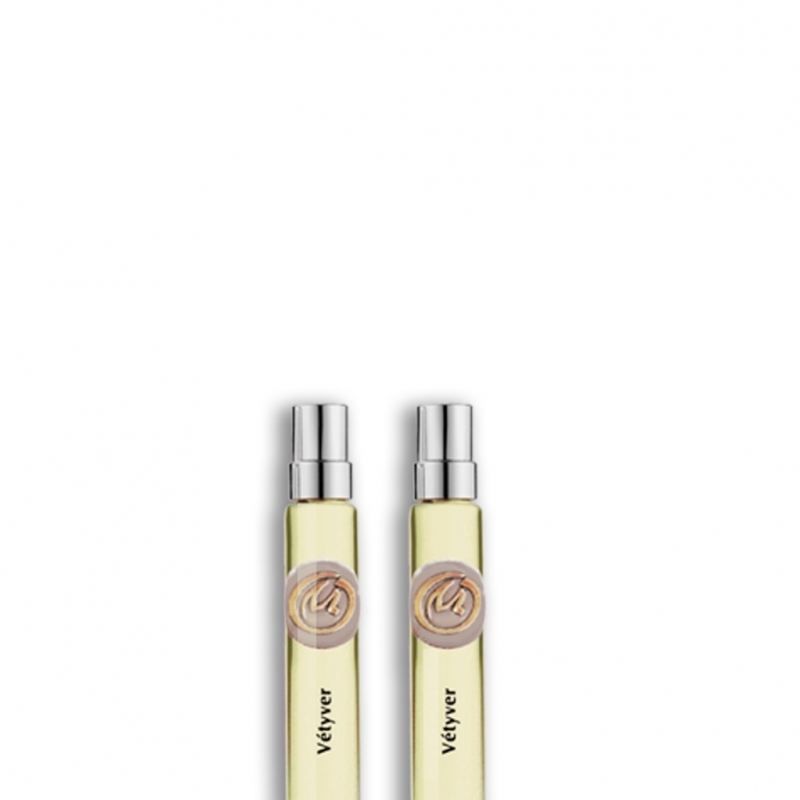 The Vetiver perfume was formulated on a bergamot base. 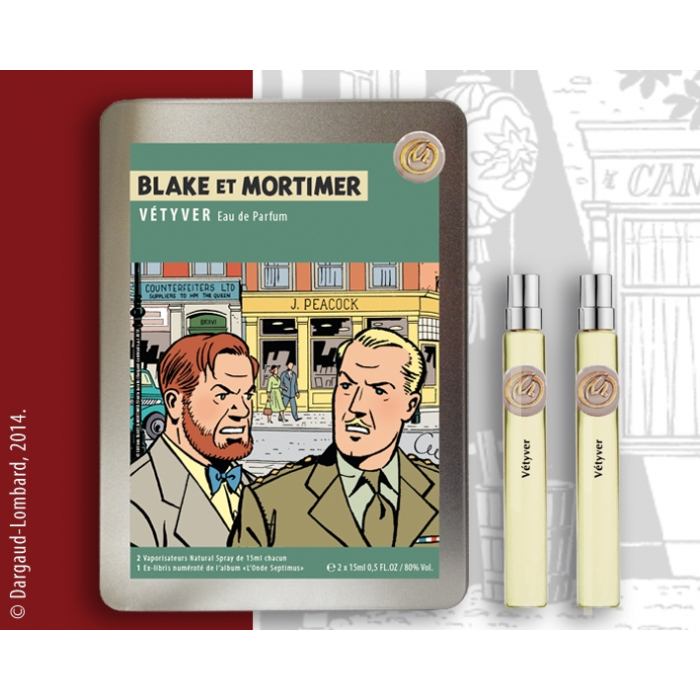 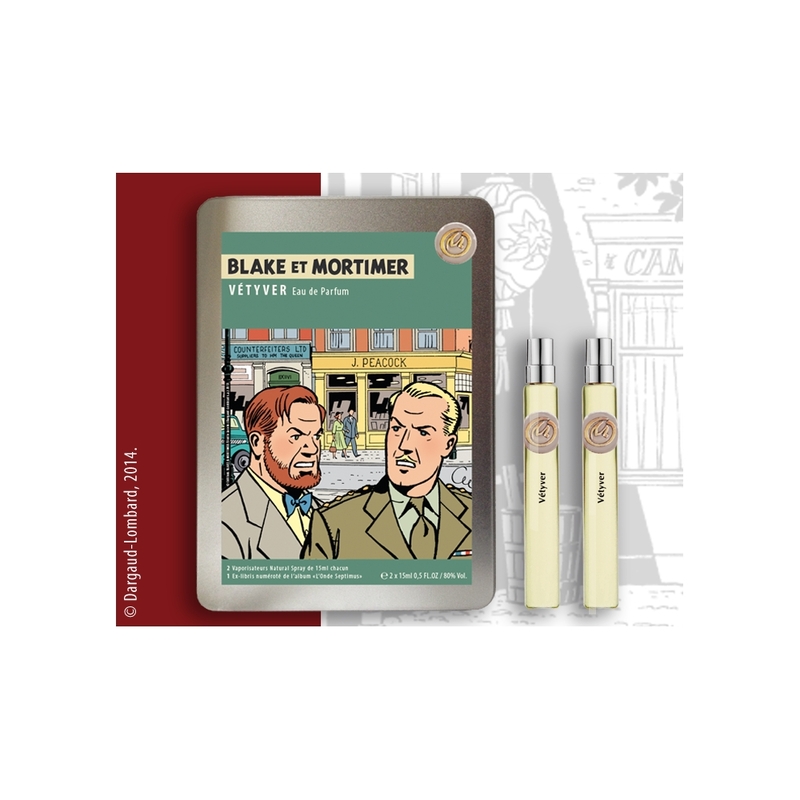 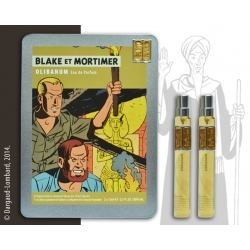 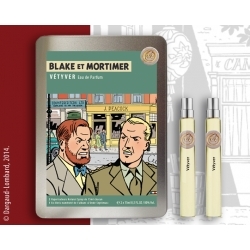 This very fresh fragrance reminds us the British atmosphere of Blake and Mortimer's adventures. 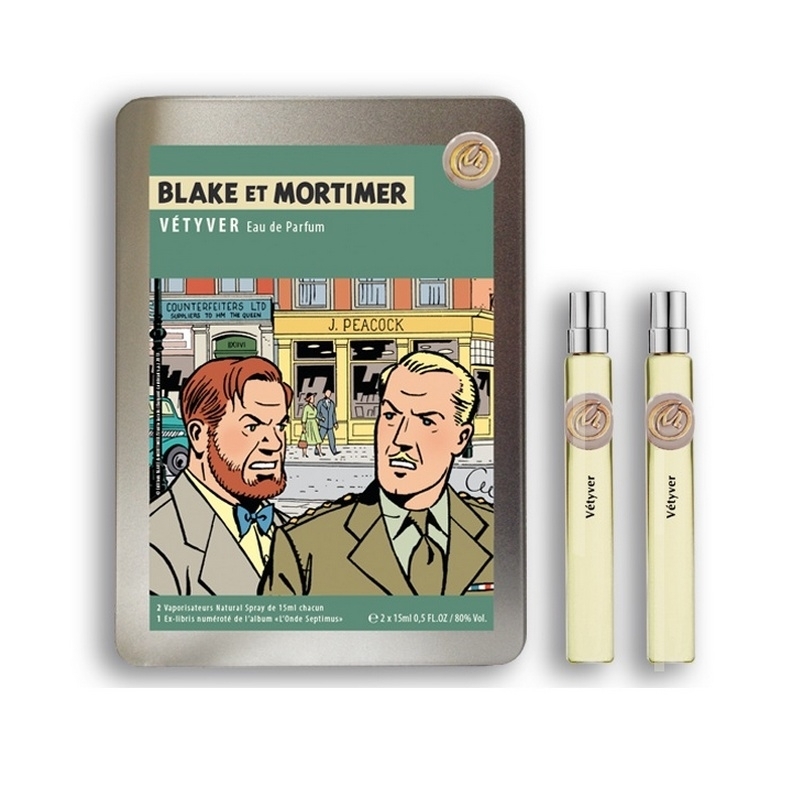 This metal box contains 2x 15ml Eau de parfum Vétyver (0.5 FL.OZ) each (Natural Spray) and an ex-libris offset printed on Rives Tradition. 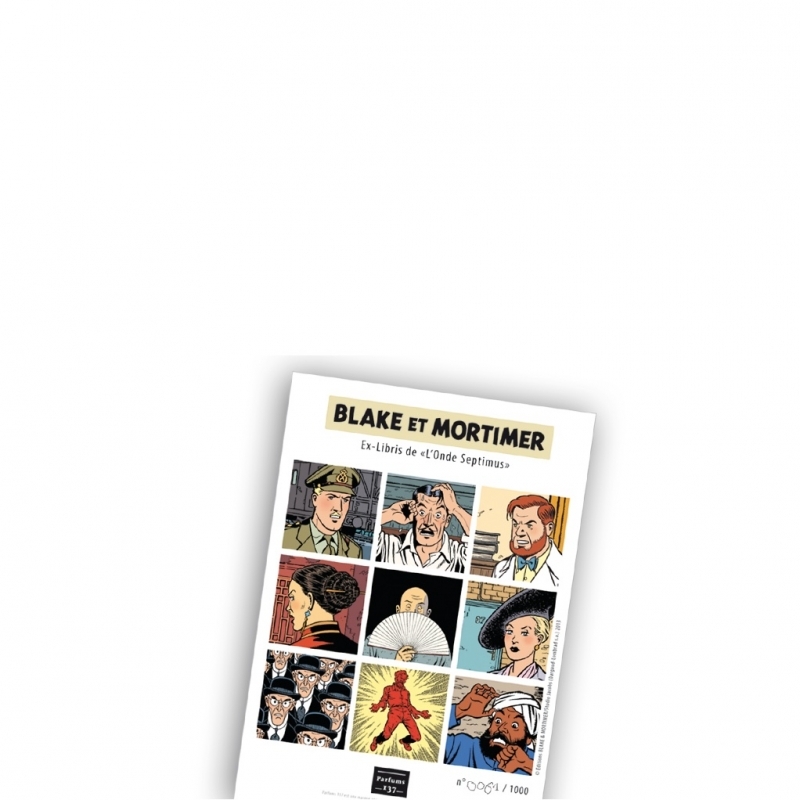 Limited edition of 1000 copies, hand-numbered from 1 to 1000. 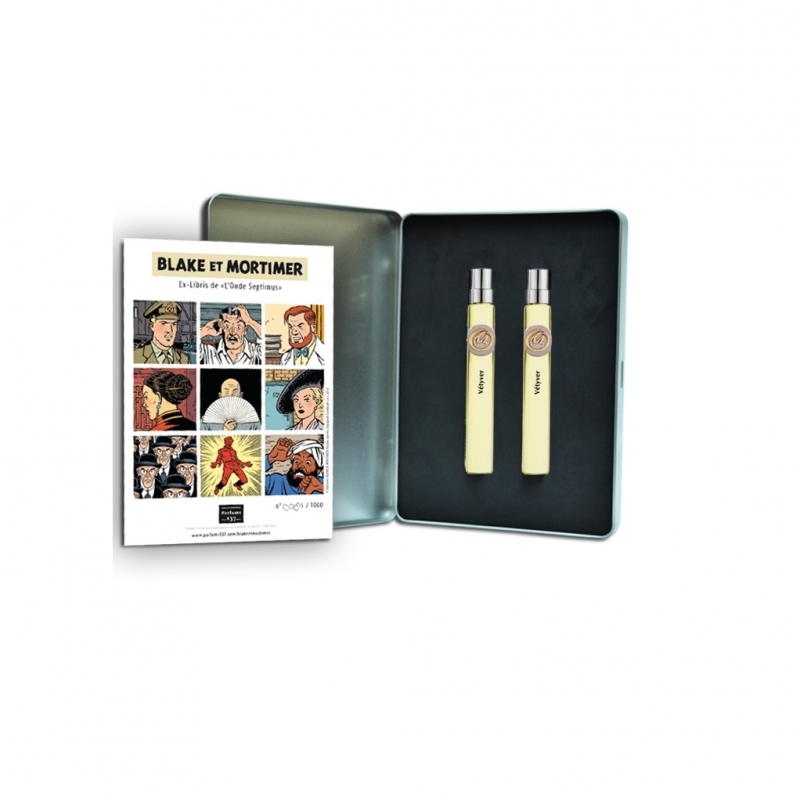 A tin plate "M" The Yellow Mark adorns the box and each bottle.